Ready to rock? 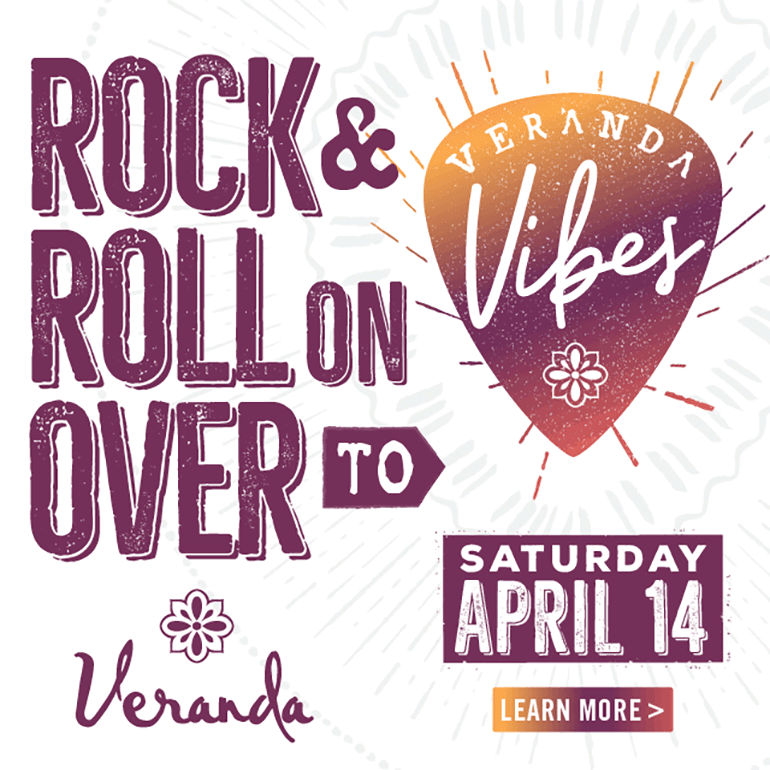 Veranda Vibes is happening Saturday, April 14 and is our pick for the weekend’s top free event. With open air free tribute concerts, bounce houses, food trucks, obstacle courses, and more, it’s an event your whole family will love! Read on to find all the info to for this awesome free event. Veranda, a new homes community in Richmond, is putting on a free concert event paying tribute to a range of music legends from Santana to Kenny Chesney. Located off of 59 and The Grand Parkway, the serene master-planned neighborhood is kicking off the Spring concert season with a bang. Bring the kids to burn off their energy with bounce houses, inflatable slides, and face painting. Then lace up your running shoes to try your hand at the obstacle courses! The free outdoor event is family friendly with a little something for everyone, and all are welcome, no matter where you live. There’s no way you’ll go hungry- food trucks serving up bites, BBQ, and beer will be on hand to satisfy your cravings and quench your thirst. Or, bring a picnic and settle down on the lawn to watch the show. Don’t forget to get your free home tour! Beautiful model homes will be open as part of the event- one of many hosted this April as part of Houston’s largest model home tour, April Drools. With almost a dozen model homes to choose from, this developing community is sure to have all the amenities your heart desires. Veranda mixes the convenience of the city with the historical beauty of the South. Veranda offers acres of green space, walking trails galore, and plenty of water reservoirs, this is the perfect backdrop for a Spring day full of music, fun, and games! Parking and admission to the concert are FREE so rock and roll on over to one of the best free and cheap events in Houston this month. Veranda by the Johnson Development Corporation is located at 23002 Henderson Row Drive, Richmond, Texas 77469.